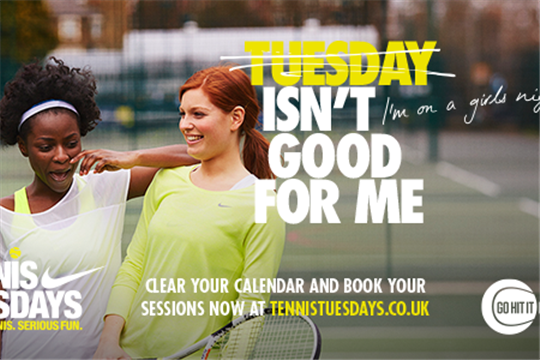 Tennis Tuesdays brings together women from your area who want to learn and play tennis. We provide the courts, rackets and coaches - you get the fun and can be as competitive as you want, without feeling under pressure. Sessions run every Tuesday from 7 - 8.30pm. To book online please click on to the coaching tab to find the week you would like to attend or contact us on 020 3794 0109 for more information.